Hahaha, whats with you bongs, obsessed with meeting other bongs? :) . My friend has a very similar story, she is a mallu who grew up in Calcutta, she befriended a girl in the mall, just because she heard her talking in Bengali, now they are best friends!!! Your story is so similar, I was laughing out loud reading this, sending this link out to her. Thai curry sounds great.... thought it will be with veggies for me!!!! :) I love thai food for its close proximity to indian food..... texture... colourful.... spicy!!!!! UMMMMM!!!!!!!!!! Hahaha! For me it was the other way round, here in Middle East, everyone incl shopkeepers speak in Malayalam (that never happened in Mumbai) and I clam up coz I don't have a typical accent like them- my Malayalam sounds very anglacized!! :) Thanks for the recipe, I like red curry. Ha ha ha! I would have thought that you are some Amway representative. I have had some strange experiences with Amway people so sometimes I steer clear from suspicious Indians:)). 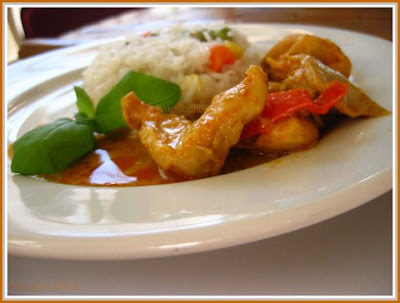 Btw Thai curry looks yum and let me pen down the song which came to my mind reading the post. Well, what does N think of your blog then? Heh heh, I "cheat", too, always using a ready-made red curry paste. Gosh, I haven't made this in ages! I make mine pretty much like yours, but I usually add Thai baby aubergines, those little pale green balls. 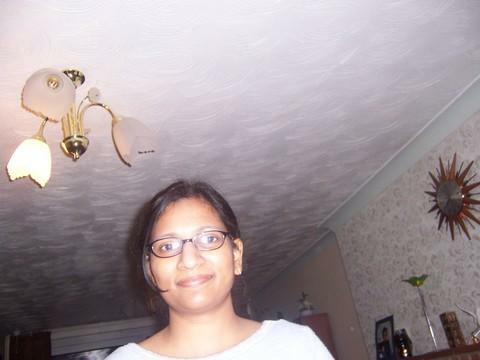 Sandeepa, lovely story. Thai Red Curry looks delicious. Those Basil leaves sure add a lot of taste. I was reluctant at first till I tasted Basil Chicken in a friends place. Yes those Amway folks give me the jitters, one family travelled all the way from Philly to recruit us H happened to run into them in a mall. woh!! 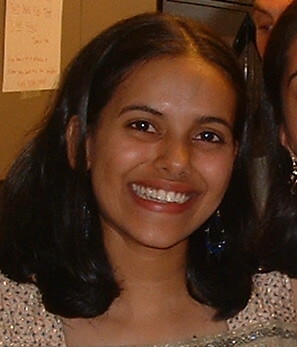 sandeepa!! sweet story and definitely a very nice recipe as well!!! oh..being a probashi bangali, i lack what u called 'bangaliana' too, and i think now i know what my husband goes thru with me is what you went thru with D! i love thai food too...am going to try this one soon! We love thai food...the green curry is also a favourite with us! I love your sweet story and can totally relate to it..having done the same in Japan at the railway station..saw a guy..he spoke in bengali to a fellow guy..I just went up to him and said (in bengali)"I havent eaten anything for 2 days due to language problem..can you show me where to buy something which I can eat?" I had just landed in Japan with the idea that everyone speaks english!!! After that we became very close friends,,..and he still relates this story as a joke in gatherings of how he got "introduced" to me! Sandeeepaaa....this reminds me of my earlier days here in US, looking for a Mallu ;) I guess it happens to everyone right ? I have saved ur recipe dear...will try soon. what veggie substitutions would you recommend for the shrimp? how does your local desi grocer manage to keep his/her mustard oil stock from running out with two bong families in the vicinity? So its not a bong thing alone :) One more common trait in Bongs and mallus other than the fish. this is a brilliant blog to find recipes to impress my mum with!!!! Red curry(veg) is one of favorite and I often make this along with basil fried rice, will post the recipe sometime. Loved your story. Chance meetings often lead to beautiful friendships that last forever. I love the idea of putting lemon zest in the thai curry. Will try it next time. Thanks! Hey, I just saw ur comment on mine...I am fine dear..that was soooo sweet of u to ask :) I guess it was just coz of the sudden climate change from 80 to 20's..
What a lovely story Sandeepa, with a happy ending too -- my favorite kind! Thai curry is one of my weaknesses, so you know I will be trying this. I love it with tofu and fresh eggplant, too. Looks beautiful!! Nice story, Sandeepa! Good that you picked up the courage And your curry looks good. 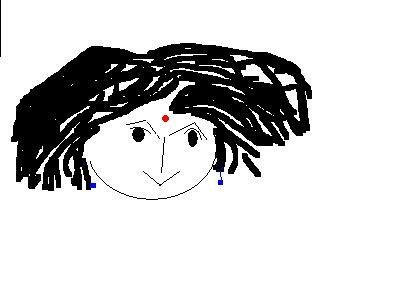 sandeepa, i am still the shy one. i never pluck up courage to talk to strangers!probably coz my brother warned me of amway hawkers. :) but great that u made a friend thru that. love the color of ur curry. which is ur favorite thai place in NJ? What a delicious curry! I have yet to try my hands at Thai cooking, but you are inspiring me to give it a shot. I am sure this curry could be veggified quite easily. Thanks for sharing. Oh, and love the story too! 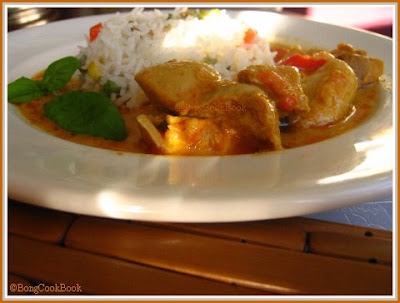 Sandeepa - Thai curry - my favroite kinds and with homegrown herbs - it makes it extra special. Loved reading your story with N. :)Thank you for participating in GBP. Yeah Amway has happened to us too. Once I was even lured into an Event at the Sheraton because they told me its E-Commerce application seminar with renowned people fom the industry !!! There is a small one close to home too, but not that good in the sense they are a bit mild. That is such a wonderful story about how you met your friend N. You are both blessed to have each other as friends. Wonderful tribute. Nice story Sandeepa! I know the feeling about meeting other Indians, and I was born and brought up in Toronto!!!! this was such a lovely story Sandeepa...and look what you got out of it, a friend for life...what can beat that? this curry is not up my alley...i'll have to substitute something else..say beans and greens and such? This is funny, I am a Probashi Bangali and don't have Bangaliana as you say (took some time to figure that word) and I cringe whenever I am told to get aquainted just because you hear a bangla word dropped. But I have seen a seemingly unknown bond getting built whenever a bong meets another bong. And I have seen with Bongs I have met they have built a bond with me much better than they build it with anyone else. The story of mine was very different. When I first came from India to Us(we were in port chester, NY then) I so desperately wanted to see Indians and I just couldn't find any other desis other than us. Now that I am in NJ its opposite. There are a whole lot of Indians and somehow not all of them are friendly. They have this " don't bother us" kind of look on their face. Anyways coming to your red curry...it looks gorgeous Sandeepa. There is a Thai place called Four Seasons very close to my place and they have best Thai food that we have had till date. Your curry looks exactly like theirs. Now thats a compliment. I am serious!!!Lovely. I am gonna try it with some veggies. One of my friend was saying they now have a small grocery section and carry Kafir Lime leaves too. Did you ever try that ? I loveeeeee you!! I loveeee you! I was sooo obsessed meeting a Malayalee and did the same thing at Kmart!! Same pinch!! I love love you!! again and again! Uff ki yuummmm. I love thai food. Bohudin baade red curry dekhe jibhey jol eshe gelo :P And tis urge to express it in Bangla. You know how true appreciation for good food, has to be in one's mother tongue! Nice to read ur friendship story Sandeepa. U are one lucky girl to get a good friend like N. I know abt the urge when we meet people who speak our own language. 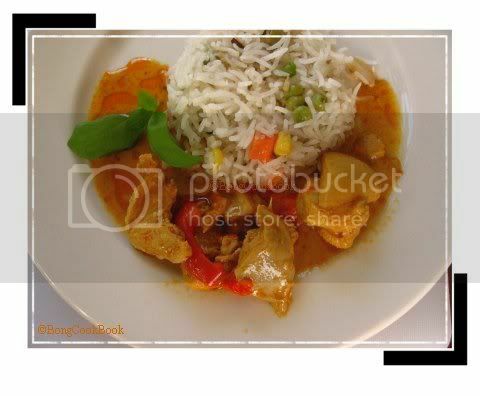 But somehow Iam yet to meet a peson like N.
Thai curry looks great.lovely presentation. I have the same obsession meeting with other bongs in New Jersey.Your story reminds me some pages of memory. Nice picture of Thai Chicken. 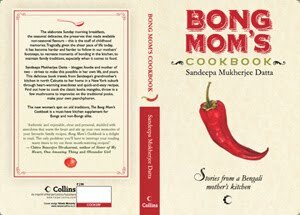 It was Fun reading your story,that was an Interesting Twist leading to a beautiful friendship..:)sandeepa loved your Red curry,a Lemony Thai curry with Rice is what I call a perfect Menu .Cheers! have u tried the one called "four seasons" on stelton road? it's better for take out than sit in but the food is good.